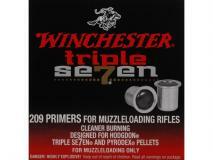 Winchester's Triple Se7en primer is a clean burning primer that reduces fouling ring buildup, allowing muzzle loader shooters easy second shot loadings. It has a unique look with a black cap to distinguish it from other 209 primers. 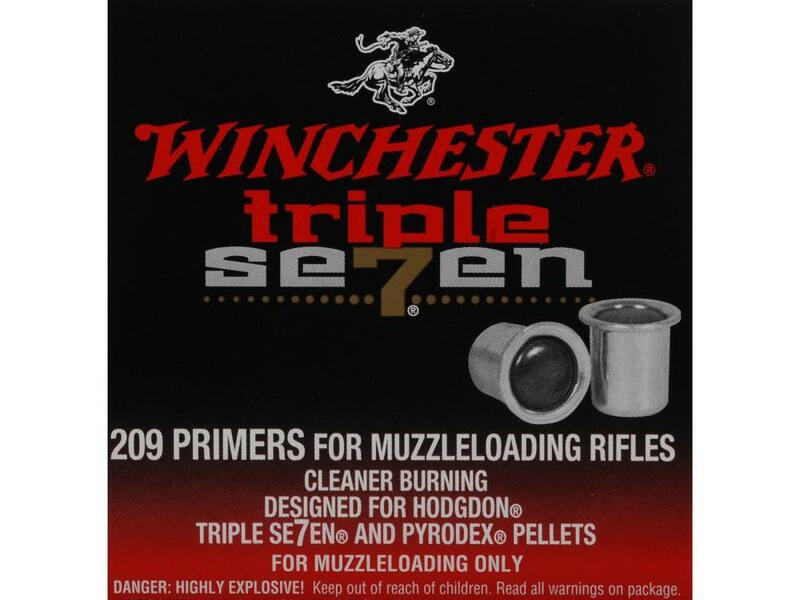 These primers are clam packed 100 per package with clearly marked graphics to separate them from other primers.